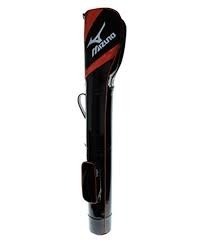 Manufacturer of a wide range of products which include mizuno jpx ez forged, mizuno jpx-ez fairway wood golf, mizuno aerolite stand bag, mizuno bioflex glove, mizuno arm guards and mizuno boston bag. 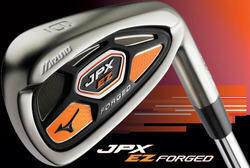 HOT METAL Face Design: Ultra-thin 1770 maraging steel face for solid feel and explosive distance. Large 192 cc deep clubhead: Inspiring an aggressive approach. Deeper face: Challenges your driver for more tee shots. Flex Face Design: Increases effective rebound area for enhanced trampoline effect and extra distance. Harmonic Impact Technology: Tuned sound for a powerful, solid feel at impact. Patented organizer top cuff with ‘Divide and Slide Technology’ that uses the natural weight of the heads to separate clubs for easy and quick access during play. Mizuno AeroStrap® with slider strap function, allowing the natural weight of the bag to find the most comfortable COG carry. Lightweight, flexible handle with soft touch tubing. 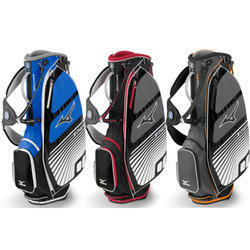 Mizuno Airmesh™ HipPad that allows free flow of air, providing a comfortable carry with reduced perspiration build-up. Lightweight, waterproof rain hood that offers smaller pocket storage space usage. The AeroLite® 029 features the same lightweight carry technology that has made our AeroLIte® stand series so popular. The 029 now features SliderStrap, which uses the natural weight of the bag to find the most comfortable COG for a more balanced carry experience. Mizuno's soft touch 'DuraSoft' synthetic material is used on the palm of the glove and creates the ideal blend of feel, performance and durability in all weather conditions. Before the glove is stitched together, each panel is 3D curved to ensure a natural and comfortable fit. 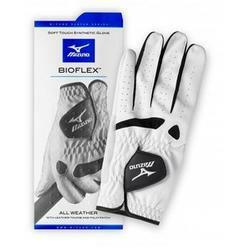 FlexMesh stretch material is inserted across the knuckles and along the side of each finger to allow your hand to move naturally and prevent the synthetic leather from stretching. A wider, moisture absorbing 'ComfortFit' wristband anchors the glove in place to prevent unwanted movement. 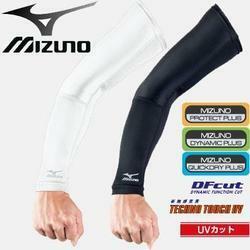 The angled pull tab ensures a secure, firm and tight fit and comes complete with the attractive Mizuno logo. Please note that the colour of gloves is random and may vary from that pictured. UV processing to a comfortable feeling of fitting, a feeling of support, feel, the material with the sweat perspiration fast-dry function to a body. The dynamic function cutting that was developed by an ergonomic viewpoint. I got rid of a feeling of pressure and enabled free movement. 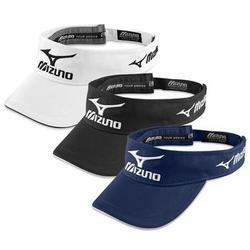 The identical visor worn by Mizuno's Tour Professional Luke Donald. 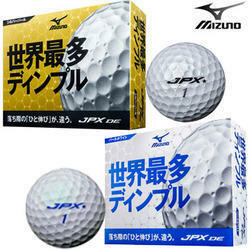 Mizuno 2014 JPX DE Golf Ball is a new 4 piece ball made for the average players. It features a low compression and soft material that produces a great combination of distnace and spin control for the average to slower swing speed players. Features and Technology- 4 layer construction for combination of distance, spin control, and feel.- New soft Ionomer cover for durability and soft feel.- New 512 dimple design with for aerodynamic performance.- New smaller "micro dimples" around the standard dimple that creates optimal spin for each shot.- Available in 2, 3, 5 and 7 number prints. Looking for Mizuno Golf ?